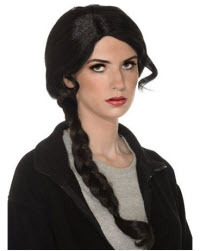 The Chaperone Wig Adult is perfect for many different costumes. This 1940s style up do wig features blonde curls and side bangs. The wig also includes a black flower accessory. Plus you can stock up on all of your costume needs and save when you use code SAVETEN to take 10% off a $60 purchase at Costume Supercenter. Want free shipping? Get free shipping on purchases of $60 or more with code FREE60. What do you think? 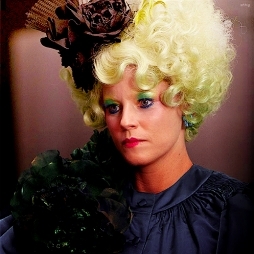 Would this help complete the perfect Effie look for a Hunger Games party or the Catching Fire movie release? 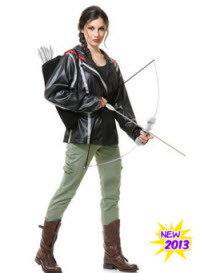 Having read the books and seen the Hunger Games movie, you know that there are a number of different things that you could pull together to create the perfect Katniss Halloween Costume. 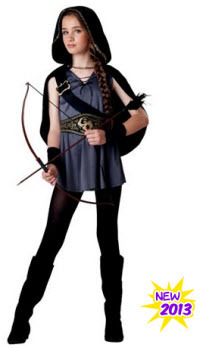 Since there are not any Katniss costumes on the market this year, you are going to be on your own to figure one out. You likely already have a few of the pieces that you will need in your wardrobe–dark boots, dark pants, dark jacket. 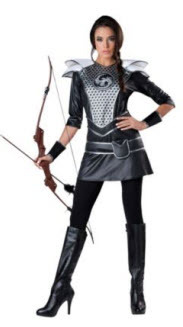 But there are three parts of the Katniss costume that are essential that you likely do not have: the wig, the bow and arrow, and a Mockingjay pin. Luckily, we have found a couple of pretty reasonable options. 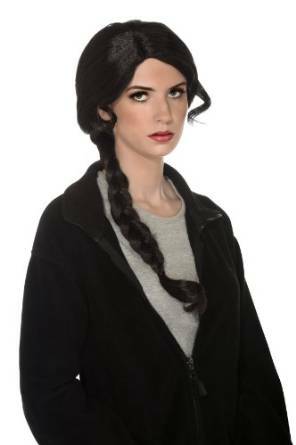 Our choice for the Katniss Wig comes from CostumeSupercenter.com. It’s the perfect length and even has bangs like hers. Assuming that you already have Katniss hair (which a few of you might), the second item you need is your Katniss bow and arrow set. I’ve seen some of these selling for upwards of $100 online, but you do not need those unless you really plan on shooting people (which I hope you do not). You can get this set at BuyCostumes.com and it has great ratings. Combine the wig and bow and arrow set to save on shipping charges. Plus, they usually have a coupon on their website. (If they do not have a coupon on their website, you can check out the Sunshine Rewards BuyCostumes coupons). 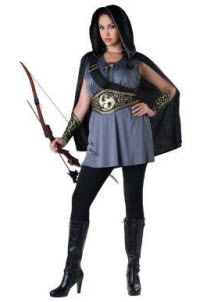 Here’s another great option for a bow and arrow from Costume Supercenter that you can actually use (plus check out our Costume Supercenter coupons and deals)! This accessory features a bow and two suction cup toy arrows. 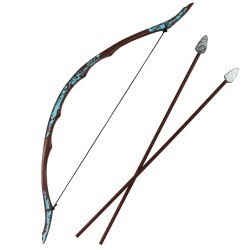 The bow measures 19 inches long and each arrow is 9.5 inches long. This toy gives a great effect to the look and is a safe toy. The third and obviously most important part of any Katniss costume is the Mockingjay pin. You can get those on Amazon for sure and hopefully for awhile still at Hot Topic, although those types of merchandise tend to sell out there and not get replaced. We think it’s worth it to spend a little on the wig, bow and arrow, and Mockingjay pin, especially if you already have some clothes that will fit the bill. 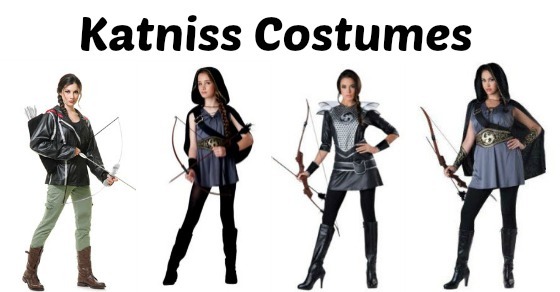 Katniss and the Hunger Games characters are definitely going to be hot Halloween costumes this year!